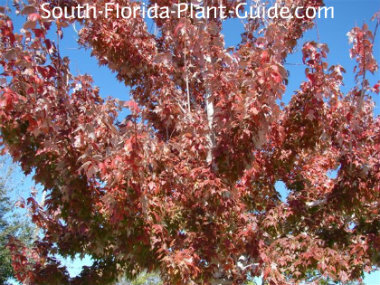 The pretty Florida maple tree is one of the few trees in Florida with a showy color change when winter weather arrives. 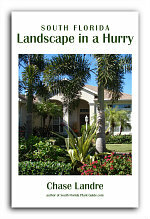 The large leaves turn reddish-bronze before they fall off during our brief South Florida winters. And new growth in spring is tinged with a beautiful reddish hue. This tree doesn't get as large as maples in the North. Although it grows tall it won't get especially broad so it works well in a medium-size yard... and even many small yards. The maple can be interplanted among other trees or planted in groups to create a woodland setting on a large, plain property. Don't plant grass up to the trunk. This tree forms surface roots that a lawn mower can damage. This tree is a fast grower to about 40 feet. It takes full to part sun but will also live in partial shade. Maples are deciduous, losing their leaves in winter. They provide a burst of stunning color before they drop leaves. 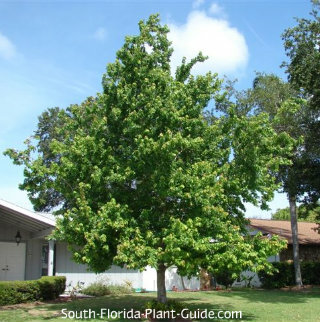 These are cold hardy trees, fine anywhere in South Florida and actually prefer cooler areas. 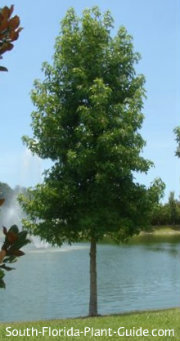 The maple can handle "wet feet" - areas that stay moist after heavy rains. It also does very well planted by a pond. You will have to rake (or blow) fallen leaves, so consider planting far enough into the lawn so that leaf litter doesn't cover walks and drives. 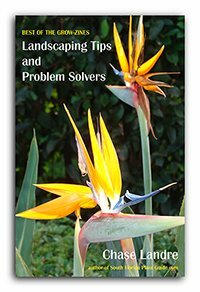 Trimming isn't necessary other than to remove any lower branches in the way of foot or vehicle traffic. Place this tree at least 15 feet from the house. Come away from walks and drives 15 feet to keep surface roots from becoming a problem as the tree matures. 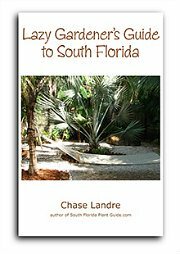 COMPANION PLANT SUGGESTIONS: Nearby plants might include blueberry flax lily, orange bird of paradise, carissa, dwarf firebush, yesterday today and tomorrow, and Mexican heather.